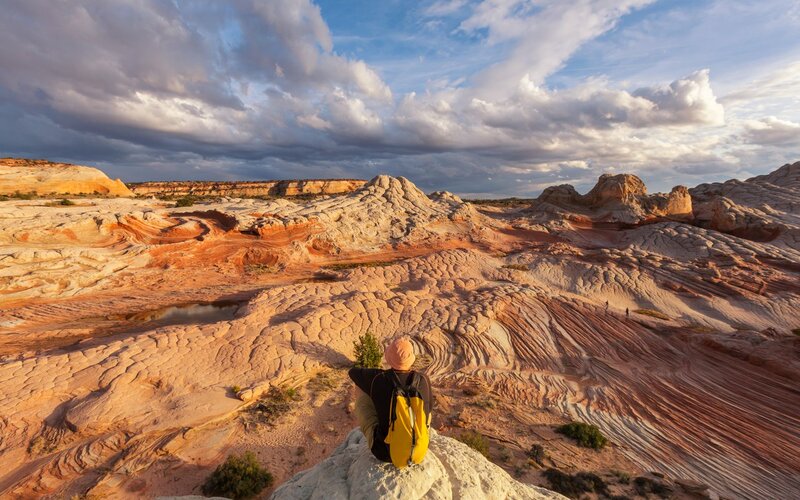 White Pocket is a lesser-known remote natural wonder in a region of the desert Southwest. 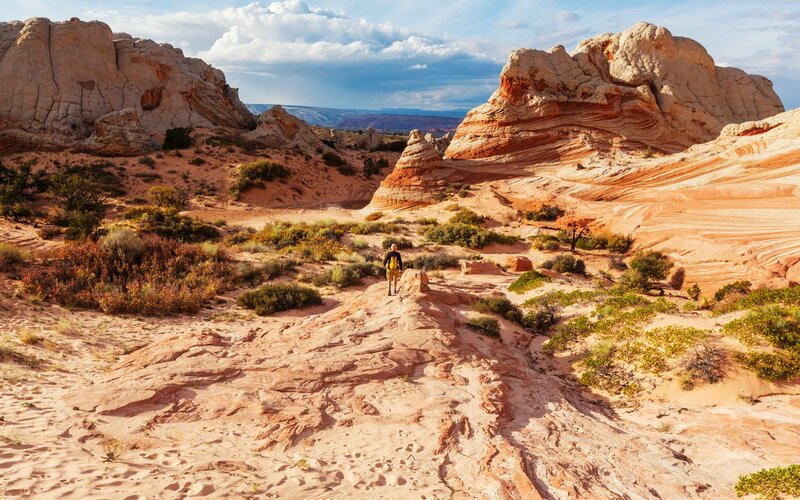 SO if you can’t get a permit to The Wave, experience White Pocket! 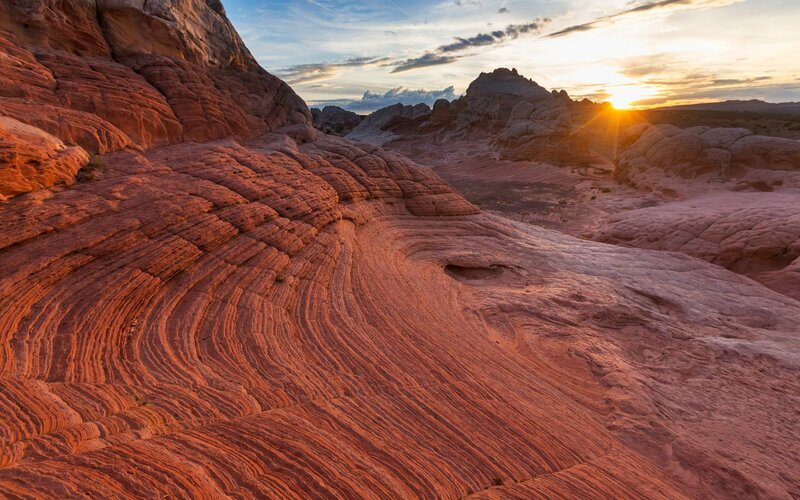 Just like the Wave this place It is famous for its large expanses of white brain rock, swirls, and intricate cross-bedding.There are no developed trails in the area and visitors are encouraged to explore. Park here and take the path that heads west from the parking area for about 100 yards. I would recommend not to try it without a 4 wheel drive high clearance vehicle. The final portion is a sandy road with tracks for high centering a car. I recommend camping there so that you can see the beautiful stars at night when there is no light pollution and sunrises and sunsets are spectacular. 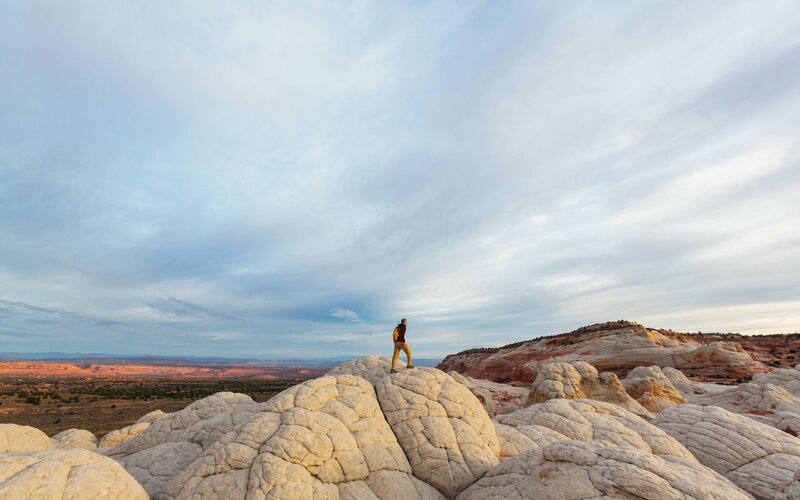 The popularity of White Pocket is leading to impacts in the form of exposed human waste and toilet paper, excessive campfire rings, and vegetation damage. Please do your part to keep these areas clean and natural.